In February 2017, the League took major steps to further protect, restore and connect people to Stewarts Point. 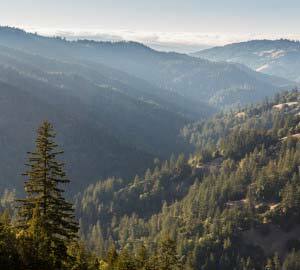 Thanks to our donors’ generous gifts, Save the Redwoods League has forever protected the scenic 77-acre Westfall Ranch and buffered the famous Headwaters Forest Reserve just south of Eureka, California. New 2.3-mile extension of Lost Coast Trail is open at Shady Dell! Learn more about our project to restore and protect this magical forest. Building upon our founders’ dream of protecting and enhancing redwood parks, the League is now engaged in a wide range of activities — from saving threatened redwood landscapes and restoring forests, to upgrading park amenities, expanding education and interpretative programs, and finding new ways to benefit parks and visitors. One such project is under way at Limekiln State Park. Learn more about this project.